14/20 Gold Filled Crimp Tube, 1.6 x 2.0mm with 1.1mm inside diameter. Use these to help station beads on wire or beading chain as well as many other uses including finishing your lighter weight bracelets and necklaces. 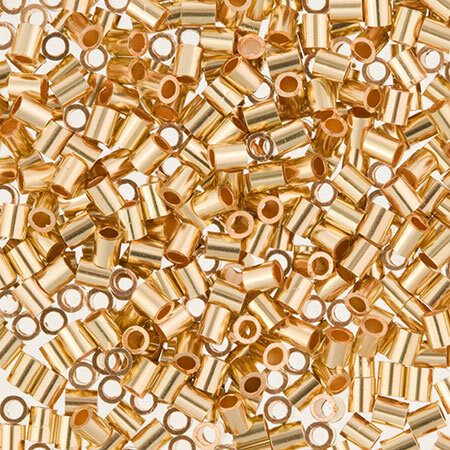 Sold per crimp.